Nura Mustafic, one of the Mothers of Srebrenica, wipes away tears as she reacts to the verdict handed down against former Bosnian Serb military chief Ratko Mladic, in The Hague on Wednesday. Mladic was convicted of genocide and crimes against humanity and sentenced to life in prison for atrocities perpetrated during Bosnia's 1992-1995 war. Ratko Mladic (center) arrives at Sarajevo airport on Aug. 10, 1993. Photos of Bosnian Muslim victims are seen on a banner outside the International Criminal Tribunal for the former Yugoslavia in The Hague. The tribunal sentenced Ratko Mladic to life imprisonment for the war crimes and genocide he committed during the 1992-1995 Bosnia war. 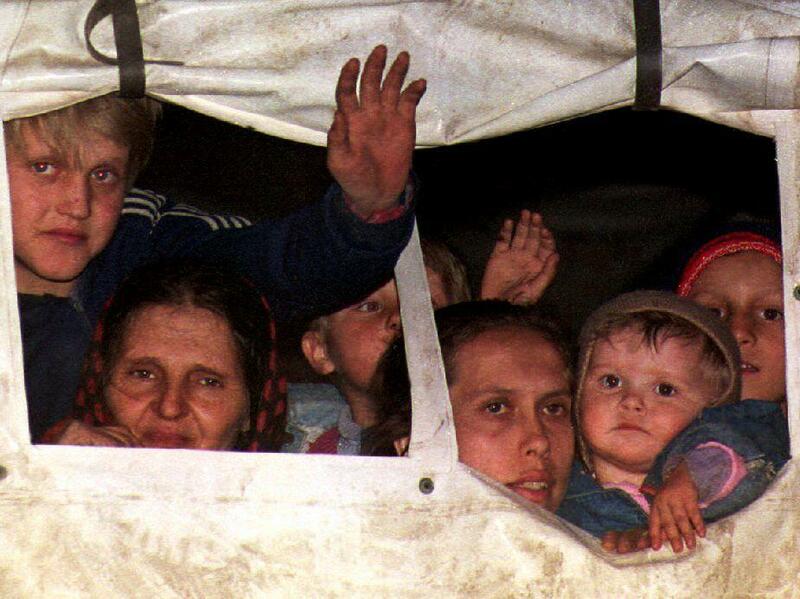 Bosnian refugees peer out from a U.N. truck in March 1993 after being evacuated from Srebrenica. "Fire on Velusici!" he was heard telling his artillery officers on one intercepted radio communication, referring to a residential Sarajevo neighborhood. "There aren't many Serbs living there!" Fortunately, my own neighborhood had enough Serb residents to spare it the worst attacks. The conviction of Mladic by the International Criminal Tribunal for the former Yugoslavia (ICTY) on charges of genocide, crimes against humanity and other war crimes may not bring much solace to those Bosnians who survived his murderous campaigns, but it serves as a reminder of the evil one man can do with an army at his command. I saw it firsthand over many months in besieged Sarajevo, and while visiting towns and cities that were targeted by Mladic's forces. In October 1992, near the northwestern Bosnian city of Kozarac, I interviewed Bosnian Muslim women who told horrifying stories of their husbands, brothers and sons being tortured and executed before their eyes by Bosnian Serb soldiers. By the time I met them in a nearby town, Kozarac had been entirely emptied of its non-Serb population. Six months later, in the town of Tuzla, I met Bosnians who had fled Srebrenica, the Muslim enclave in eastern Bosnia that had been surrounded and bombarded by Mladic's army. All had stories of death and hunger and exhaustion. A 31-year-old doctor, Nedric Muconivic, who set up a tiny war hospital in Srebrenica, had just been evacuated by U.N. forces. He told me he had conducted about 100 amputations, mostly of legs, without the benefit of anesthetics. His patients were almost entirely civilians injured by shelling. At the time, Srebrenica was packed with more than 20,000 refugees, all of them Muslims who had fled nearby towns and villages to escape the advancing Bosnian Serb army. Two more years passed before the Serb army finally managed to take the city, and what ensued in July 1995 was the worst massacre in Europe since the Second World War, with more than 7,000 Muslim men and boys executed. Most were bound with their hands behind their backs, blindfolded and made to stand at the edge of open pits, where their bodies tumbled as they were shot. 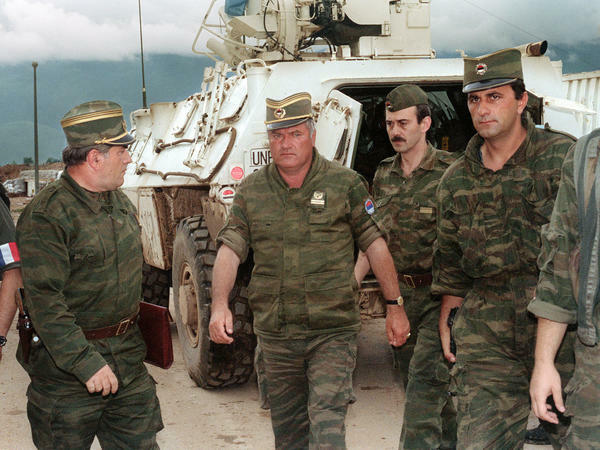 Mladic, the commander-in-chief, entered Srebrenica moments after his soldiers, accompanied by a Belgrade television crew. "We present this city to the Serbian people as a gift," Mladic declared, speaking directly into the camera. "Finally, after the rebellion of the Dahis, the time has come to take revenge on the Turks in this region." Mladic was citing history as justification for the crimes carried out by his army. The Dahis were Muslim mercenaries in the service of the Ottoman Empire and had brutally put down a Serbian insurrection in the early 19th century. For Mladic, the Bosnian Muslims of Srebrenica were the modern-day "Turks" and had to pay with their lives for the deeds of some distant co-religionists nearly two centuries earlier. It would be weeks before the extent of the Srebrenica massacre was known, but Hague tribunal prosecutors already had enough evidence of Mladic's criminal record. His genocide indictment followed days after. 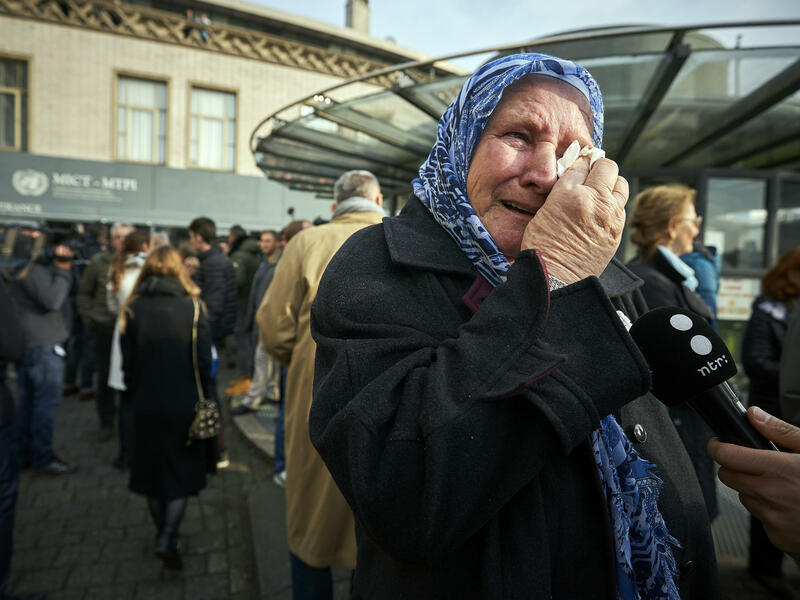 By the time of his conviction in The Hague on Wednesday, more than two decades later, the world had learned much more about the killings for which Mladic bore personal responsibility — in Sarajevo, Kozarac and many other cities. Bone by bone, the remains of 6,971 victims from Srebrenica had been exhumed, identified by name and reburied. 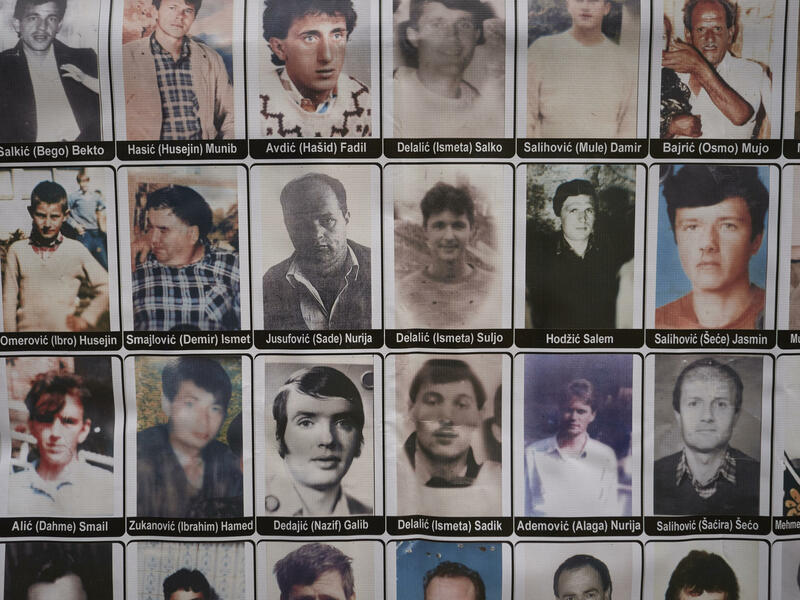 Survivors had come forward to share what they had experienced, and a high-ranking Serb army officer had acknowledged his own role in the massacre. 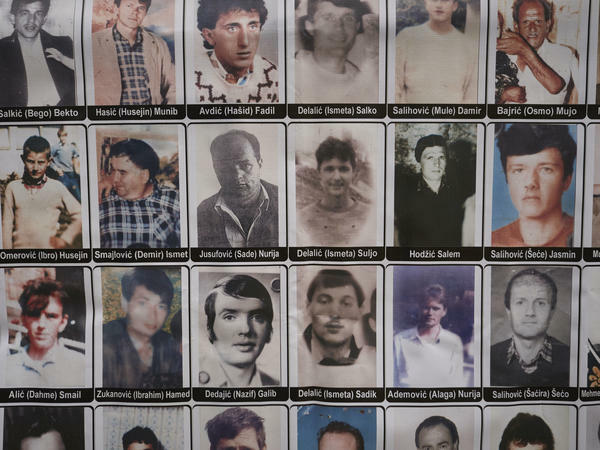 As a journalist, rarely have I been more motivated to report atrocity than I was in Bosnia. Many of us who were on the ground during the war sensed it was not getting the attention it deserved. We had the responsibility of highlighting the actions of an army whose commander was committing crimes that, in the words of Hague tribunal Judge Alphons Orie, "rank among the most heinous known to humankind."